When we were approached about this tour, we were on board as soon as we heard about the killer line-up. Toxic Holocaust, Ramming Speed and MammothGrinder are bands that I actually listen to, which is pretty rare for bands formed after 1985. I liked that all the bands were different, Toxic doing their crust-thrash thing, Ramming Speed doing their NWOBHM-infused crossover, and Mammoth Grinder with their down and dirty caveman-level death metal. After all the touring we've done, it's become obvious that a good package helps to get people in the door – we'd already played all these markets with Dying Fetus in October and then played half of them again with Iron Reagan in December. We had our customary weekend of rehearsals before embarking on the road. We added “Your Funeral, My Feast” to the set – it was the last song on All Guts... we had yet to play live so we figured we should go for the complete set. We also worked out “Carrion Call” from Necrocracy for this tour but it wasn't coming across live the way we wanted it to, so we dropped it after a few shows. Mike, freshly relocated to Tampa, Florida, flew into San Francisco, as did Bud, albeit from North Carolina. Rob took a train from Santa Ana to Grover Beach and hung out with my visiting girlfriend and I (speaking of commuting, she's from the UK) for a night before the inimitable Dr. Philthy came and picked us up in our battered van. Our van's sliding side door didn't open and neither did one of the back doors, and it quickly developed an oil leak which you'll hear more about later. So we started the tour in a rolling death-trap. We drove north to San Jose to rehearse in the Cretin (featuring Exhumed alumnus Col Jones and Matt Widener) jam space, which was empty since they were recording their new album “Stranger.” Bud's parents still live in San Jose, in the same neighborhood I and all the original Exhumed guys grew up in, so we crashed there for a couple of nights. After scraping the rust off on during the first day's rehearsal and raiding Bud's parents' liquor cabinet that night, we dropped my girl off at the airport and went back in early for the second (and final) rehearsal so we would be done in time to catch the 49ers / Seahawks NFC championship game. The rehearsal was a success, the game not so much, but the pizza and beer more than made up for it. After plundering Bud's folks' liquor again I decided to call it a night when Rob and Bud's wrestling resulted in cracking one of the walls. The next morning I was feeling pretty hungover as we headed north to Chico for the pre-tour warm up gig we had scheduled for Monday night. Our Monday night gig turned out far better than we had expected, with a hundred people coming out and making us feel very welcome in their small college town. We headed to the promoter's pad to crash where we enjoyed his very large dogs and semi-functioning hot tub. 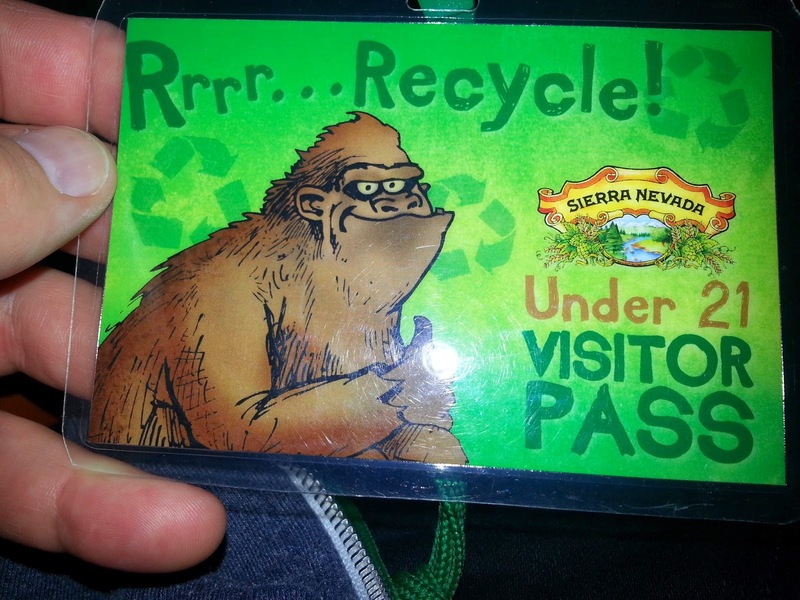 We had the following day off to drive up to Seattle to start the "official" tour, which we spent touring the Sierra Nevada Brewery in Chico. 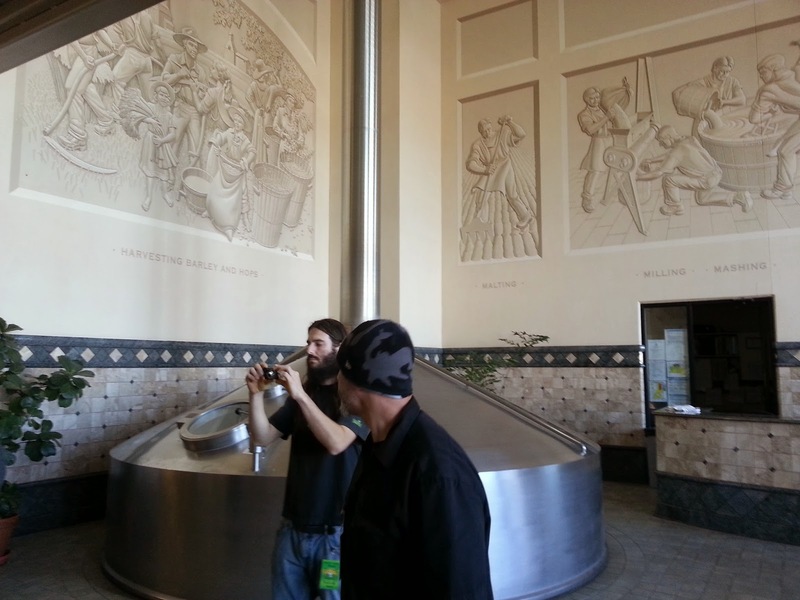 The tour is free, informative and most importantly they give you tastes of different beers. All you have to do is book a tour in advance (we booked it the day before). One caveat, make sure your ID is valid, because mine is expired and I didn't bring my passport, which meant I wasn't able to taste any of the beers. Ouch. We grabbed In-and-Out Burger and spent the rest of the day and night in the van. The badge of shame I had to wear since I didn't have a valid ID with me. 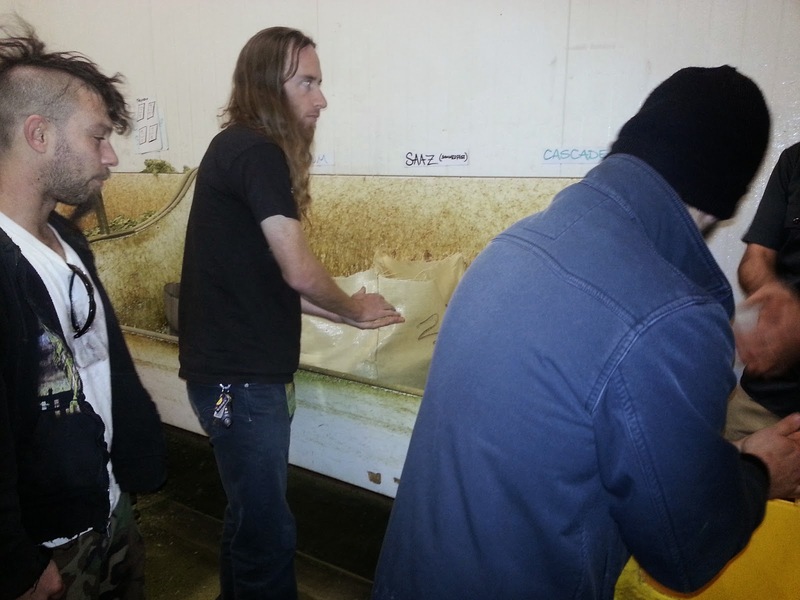 L to R, Bud, Dylan, and Rob testing hops at Sierra Nevada. 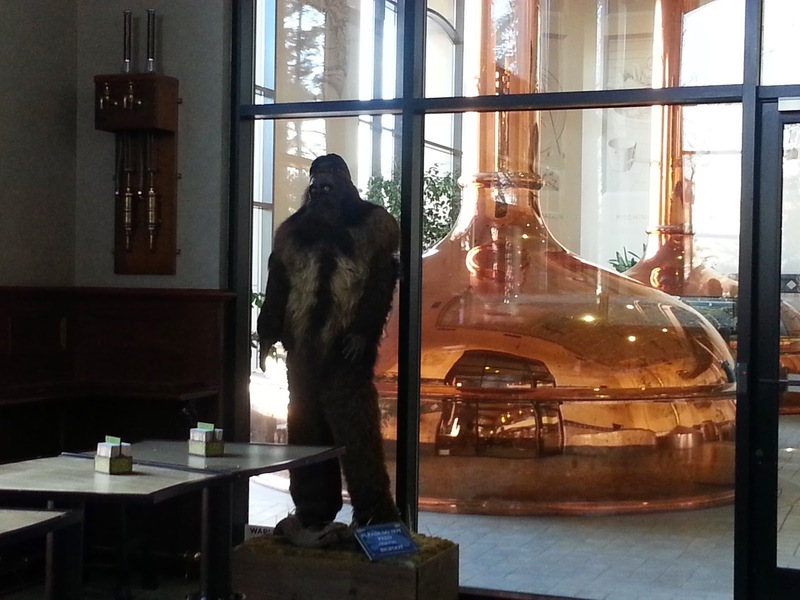 Mike with the Sierra Nevada vats as beer gets heated (if I remember correctly) along the way to deliciousness. 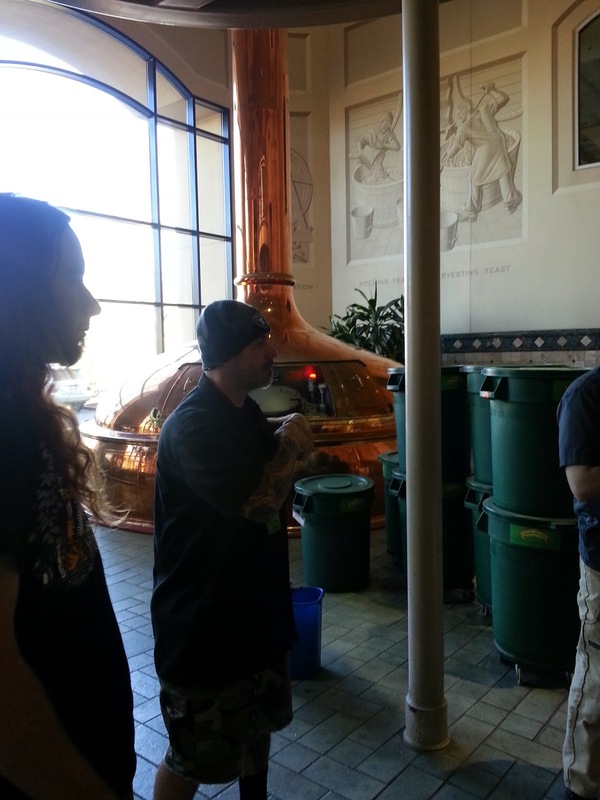 Yes, that big copper thing behind Mike is full of beer. 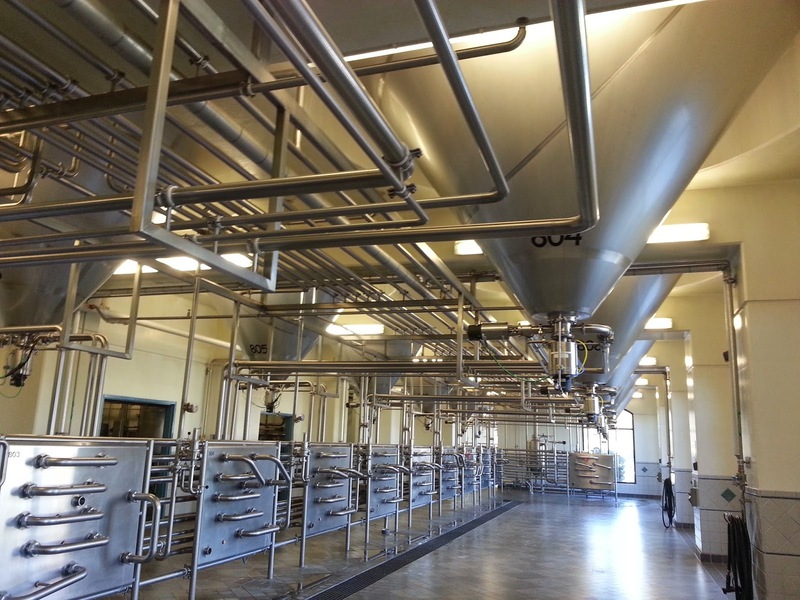 The Sierra Nevada brewing facility is disturbingly clean and sterile. Entrance to the shwag store. The view from the taproom where I enjoyed some really delicious... lemonade. We arrived in Seattle with plenty of time to spare and were soon met by the Ramming Speed guys in their patented rusted-out short-bus. 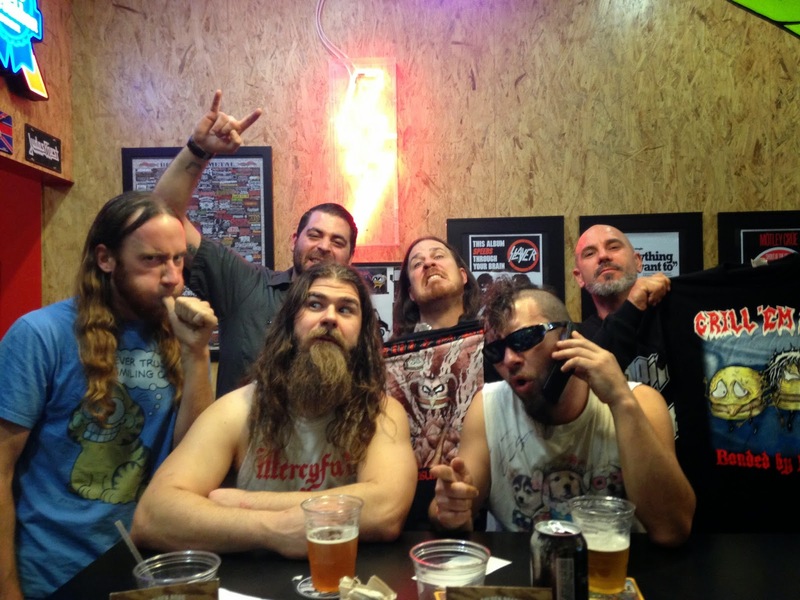 We had met them at the end of the Dying Fetus tour when we did a one-off show with them in Raleigh. We hit it off with them swimmingly, by that I mean we drank until about 4:00 am with them, shouting Iron Maiden melodies. We were very familiar with the venue, Studio Seven, which has become our go-to venue in Seattle, so as soon as doors opened we loaded in, grabbed showers, and made ourselves at home. We play there so much we've become friends with the owners and always have a great time there. The Mammoth Grinder dudes rolled up in Toyota, which was a bit unusual, but we learned that Mammoth Grinder and Toxic Holocaust were using Ramming Speed's backline – so we were carrying about four times the gear of all the other bands combined. It was the same case when we toured with Fetus , I guess we're stuck in the 80s mindset that excessive guitar cabinets and elaborate drumsets are essential. I can live with that. The Seattle show was predictably killer and we ended up partying at the venue until about 5:00am. The next day, the other bands headed to Canada for the Vancouver tour stop. We opted to play it safe and stay in the good ol' US of A, even though we were admitted into Canada last year with Fetus, we felt it was too dicey to risk for one show after getting turned away in 2012 (on our tour with Municipal Waste and Napalm Death). Even if the Canadian border cops decided to allow us in the country, we could potentially be charged $800 just to cross the border (Mike, Bud, the good Doctor and myself all have drunk driving convictions – leading the Canadian government to require us to each to purchase “Temporary Residence Permits” each time we enter the country for $200/person, or potentially not let us in at all as happened ) so we opted out and instead headed to Spokane, Washington to do our own show. My favorite thing about playing the Hop in Spokane is the shop Time Bomb across the street. When we played Spokane with Suffocation in April, I had spent $60 on Marvel Super Heroes Slurpee cups from the 1970s. Yes I have a girlfriend, and no she isn't imaginary, I swear. This time however, Time Bomb was closed, but a sister store, GiantNerd Books, had opened next door. I was able to pick up a couple of very rare Jack Kirby comic mags from the 70s – SpiritWorld and Days of the Mob. To say my day was made would be a dramatic understatement. The show was pretty decent, our friends in Xingaia supported (and Christine, one of their girlfriends, their pr person and all around fun gal brought us insanely delicious baked goods to munch on again, which ruled), playing their thrash-infused hyper Death Metal with a sneer and some hilarious samples spliced in. We went to one of their houses for a party afterward, but I bowed out relatively early after a rapid succession of vodka-and-something shots. The next day I was still in pretty rough shape. Our van was also in pretty rough shape. The oil leak we'd spotted hadn't improved - in fact it had gotten worse. We went to a mechanic who fixed the leak, and then informed us that our transmssion was in terrible shape – which we kind of knew already. The mechanics were literally shocked that we intended to drive from Portland to Oakland the following day and predicted categorically that we'd be broken down on the side of the road than to be enjoying a juicy Nations hamburger in the home of our favorite football team. Sufficiently spooked, we seriously considered that our semi-faithful van (we had already put a new engine in it) might not pull through. We scrambled for options, and ended up finding a rental van in Portland through Bandago – who specialize in renting vans to touring bands. Their services aren't cheap, but inlcude a decent amount of mileage, roadside assitance and brand new, perfectly maintained vehicles. We decided to bite the bullet and spend the cash on the rental van, which meant that we'd all be going home with a significantly smaller amount of money than expected at the end of this tour, especially since we were planning on buying our plane tickets for our already-scheduled European tour with Toxic Holocaust out of the profits from this tour. But we simply couldn't afford to drop a new transmission in the van right at that moment (we didn't have time to anyway) and we couldn't risk not being able to finish the tour in our old van. We hitched the trailer to the rental van, and decided to drop off our van in San Jose at Bud's parents (who are total lifesavers). The Portland show was fun, but because my ID was expired, I wasn't able to drink any beer at all again (I think between that night and the brewery tour, I've learned my lesson) and we ended up at Sizzle Pie, the pizza joint owned by Matt Jacobson (who also owns Relapse Records, you might have heard of them?) for some complimentary slices. We finally left town about 3:00am with both vans, and headed to the Bay Area. Turning garbage into gold: Mike's old drum head with some of my scribbles, an old set list (that was there already) and our signatures. 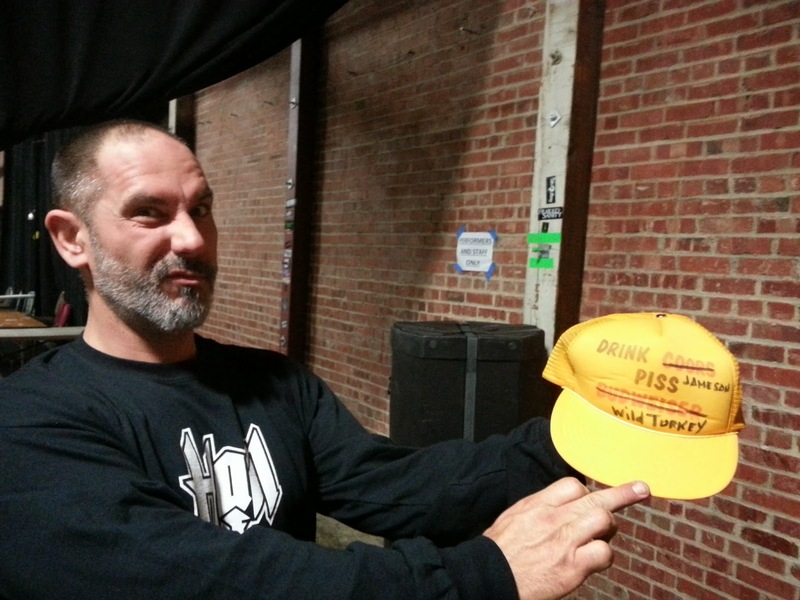 This netted us dozens of... cents at the merch table. I love the Oakland Metro, love the city, love seeing old friends, hanging with Mike's brothers and assorted family members and even just driving by the Oakland Coliseum makes me a little misty-eyed, even if it's been 12 years since I've had reason to be optimistic about a Raiders season (and yes 510 purists, I know I'm from the suburbs!). We did end up enjoying that delicious Nations cheeseburger after all (salmon burger in my case, if you wanna get technical about it) before the show, enjoying an East Bay tradition. We had played the Metro with Iron Reagan and local support from the awesome Necrot on a Monday night in December and it had been a solid show, even after having been in San Francisco five weeks eariler with Fetus, so we were anxious to see how it would go on a Saturday night with a fully stacked tour package. Suffice it to say, the night did not disappoint. We had to split fairly soon afterwards, to drop our ailing van off at Bud's folks in San Jose and then stop by my place in Arroyo Grande to drop off some gear and pick up some other gear before the following day's in-store at Grill 'Em All in Alahambra and show at the Joint in Los Angeles. We had a great time and a great meal at Grill 'Em All, who added their first vegan item to the menu for Toxic Holocaust (Joel's been a vegan for four years or so), some TH-themed fries. I went for the spicy Napalm Death-themed burger and did not regret it at all (as much as my underwear might disagree). 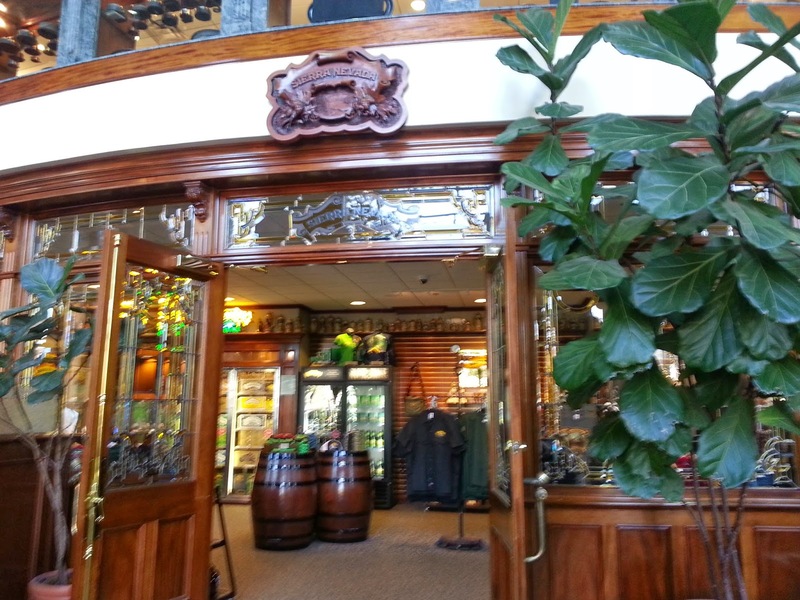 The staff were awesome, welcoming, and generously pulling pints of beer, so it was a great warm-up. 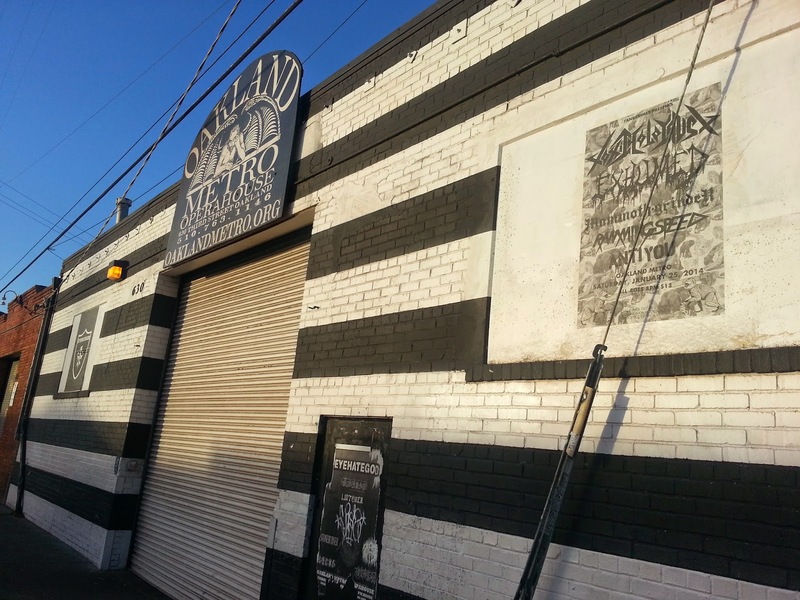 The show at the Joint (where we had hosted our Necrocracy listening party night) was destined to be packed – the venue was woefully undersized, really more of a bar than anything and it was quickly sold out. While we played, I could see kids looking in through the windows, watching the show from outside. It was a trip. We partied with tons of friends and familiar faces, then after the show we headed further south to Santa Ana to crash at Rob's. 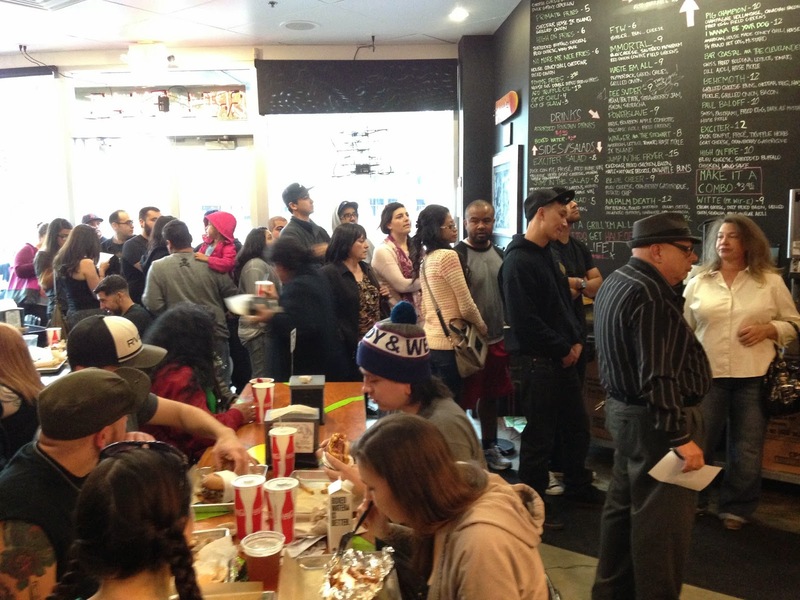 The line at Grill 'em All. Exhumed, immediately after gaining 8 pounds at Grill 'em All in Alhambra. 8 delicious pounds. Mike was up early the next day to pick up our sound-guy for this tour, Cephalic Carnage guitarist Brian Hopp who was in town for the NAMM convention. While he was being productive, I dragged my carcass down the street to Charlie's Best, the local taqueria / burger joint for some much-needed greasy fare. Soon we were back at the Constellation Room in Santa Ana, where we had just played a sold-out show with Dying Fetus in October, and even after that, we had played locally with Iron Reagan in Anaheim in December which was a killer show in its own right, so we figured that the show would be a corker. Before the gig we shared a dressing room with the Toxic guys and got a taste of just how much they loved awful music (maybe even more than us??). After being treated to some obscure christian metal jams from the '80s courtesy of Joel and Phil (Nick just sort of hung his head dejctedly and said “welcome to the last four years of my life” as Joel and Phil delighted in knowing every cringe-worthy lyric), we had a killer set, feeling much more at ease with a seasoned guy behind the board. After the gig, we piled in the (admittedly much more comfortable) rental van and headed for Phoenix, where we predictably showed up at Ryan Butler's doorstep at 9 in the morning. Ryan is a saint, aside from engineering and co-producing our last two records and playing guitar in the awesome Landmine Marathon, he lets us hang out at his place every time we roll through on tour (which is about five or six times a year), watch cable TV, shower, do laundry and hang out with his dog Leia (who makes an appearance on our split EP with Iron Reagan). We had played in the area just five weeks earlier with Iron Reagan and had a good show, even after just playing there in October with Fetus, so we felt like we were pretty much a glorified local band at this point. We'd been having consistently good shows in Phoenix, and the package was killer, so we weren't too worried. Our confidence was rewarded, and the energy in Phoenix was killer. We always swing next door to Asylum Records to hang out and check out the stock, and I somehow resisted the temptation to buy the Japanese pressing of Spellbound by Tygers of Pan Tang that they had there, remembering how much extra we were spending on the rental van. At any rate, we made our traditional stop for late night Mexican at Filberto's with Buter and a few friends before packing back into the van to drive to Albuquerque for the following day's show. But that, as they say, is a tale for another blog. 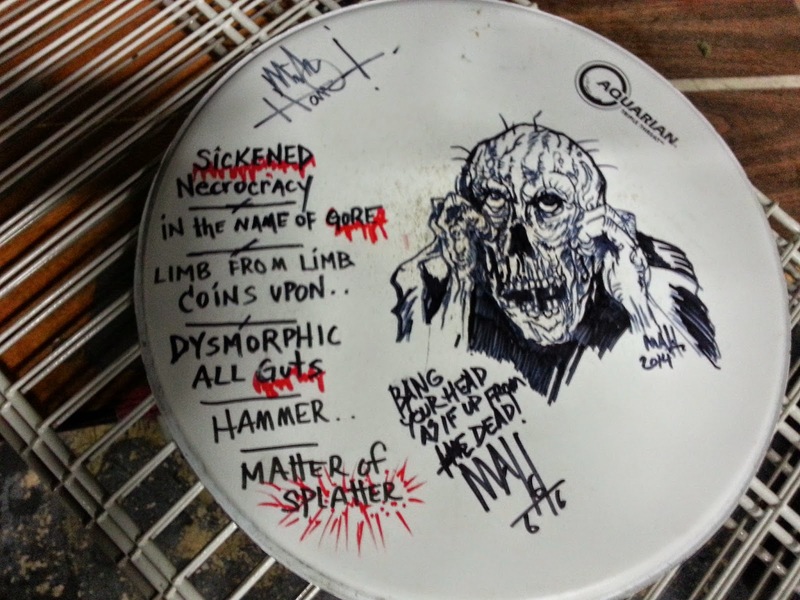 Didn't read the entire post but, awesome sketch on that drum head..